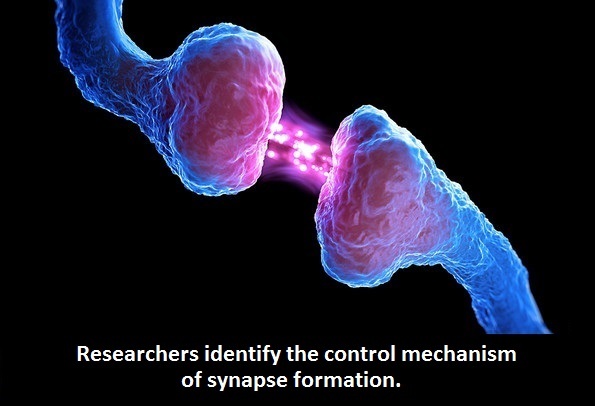 Researchers identify the control mechanism of synapse formation. The brain controls all functions of the body and interprets information from the outside world; intelligence, creativity, emotion, and memory are a few of the many things governed by the brain. The brain is made up of two types of cells, namely, neurons and glia cells. There are many sizes and shapes of neurons which all consist of a cell body, dendrites and an axon. Neurons convey information through electrical and chemical signals via a synapse in a process called neurotransmission, without this crucial neurotransmission the brain, and by extension, the body would not function. Now, a study led by researchers at GIST identifies the control mechanisms of synapse formation. The team state they have also provided the previously unknown three-dimensional structure of proteins which regulate neuronal synapses. The study is published in the journal Neuron. Previous studies show that membrane-associated mucin domain-containing glycosylphosphatidylinositol anchor proteins (MDGAs) bind directly to neuroligin-1 (NL1) and neuroligin-2 (NL2), thereby respectively regulating excitatory and inhibitory synapse development. However, the mechanisms by which MDGAs modulate NL activity to specify development of the two synapse types remain unclear. The current study provides structural insights into the mechanism by which MDGAs negatively modulate synapse development governed by NLs. The current study utilises protein crystallography to crystallize NL2 and MDGA1 protein complexes which are involved in inhibitory synapse development, and observe the three-dimensional structure. Results show that the MDGA1 protein at the post-synapse interferes with the binding between NL2 & Neurexin, stopping inhibitory synapse formation. Data findings show that the protein interaction site is a critical functional region for the negative regulation of the synapse development process. Results show that MDGA1 can effectively control inhibitory synapse formation as the binding ability of MDGA1 is superior to Neurexin while MDGA1 and Neurexin can both competitively bind with NL2. The team surmise that they have identified the mechanism of molecular regulation of MDGA1 protein which is necessary for the balanced operation of excitatory and inhibitory synapses. For the future, the researchers state they will continue to investigate the mechanisms of brain diseases caused by dysfunction of synaptic protein and conduct researches to develop therapeutic drugs.